Who would have thought that QR Code technology in China is still in its infancy. The country who brought us highly advanced production services, fueling most of the world with advanced engineering feats. We all know that QR Codes were invented in Japan in 1994 by Denso Wavebut it is unusual to find that a lot of Asia still has not adapted the Codes fully. 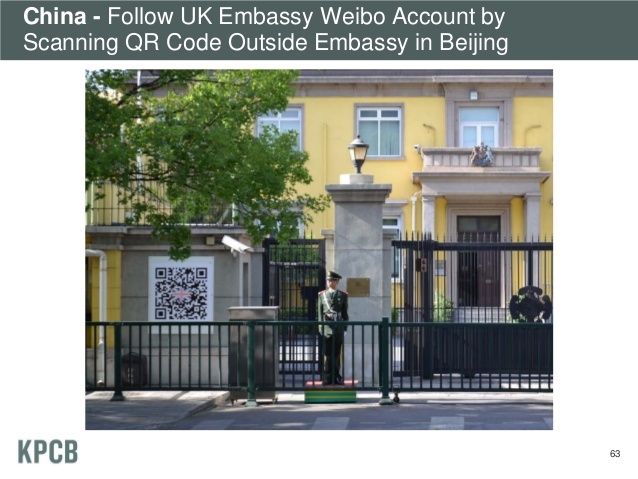 The UK embassy even have a slightly custom QR Code on embassy in Beijing. 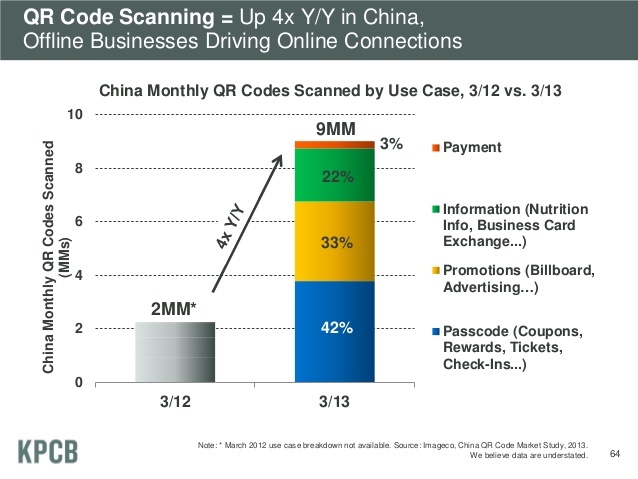 China is one of the worlds biggest markets and Kleiner Perkins Mary Meeker has highlighted some interesting facts based around QR Code usage in china. The scan rate of QR Codes has quadrupled each year in China and the main focus is to pay for goods or cash in on promotions/coupons. There are currently 9 million QR Codes being scanned in China every month according to local studies.